22 August was quite an extraordinary day for the Indian smartphone market. At one, seemingly more interesting end, we had Samsung launching the Galaxy Note 9. And on the other end, we had Xiaomi launching a new smartphone under a new odd sounding sub-brand named POCO. Surprisingly, ever since, the smartphone everyone wants to know about is the POCO F1. Not because it's the best smartphone you can get your hands on but simply because of how it manages to redefine an entire smartphone segment by offering a Qualcomm Snapdragon 845 chipset at an unheard of price of Rs 20,999. So who is the POCO F1 for and why are the likes of Honor, Motorola, Nokia and Samsung shaking in their boots? 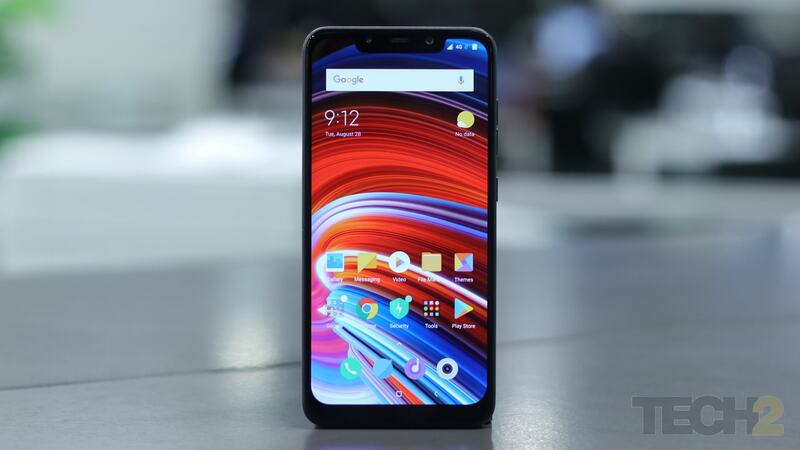 The POCO F1 trumps every other smartphone there is under Rs 25,000 in terms of performance, speed and even battery life to an extent that it seems like a no-brainer for any buyer. 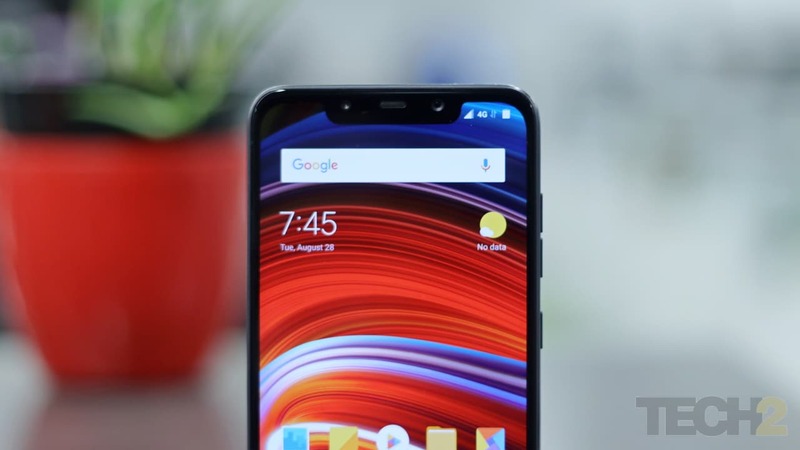 But unlike what a number of people believe it to be, it just isn’t comparable to a budget flagship like the OnePlus 6 or the Asus ZenFone 5Z. Here’s why! 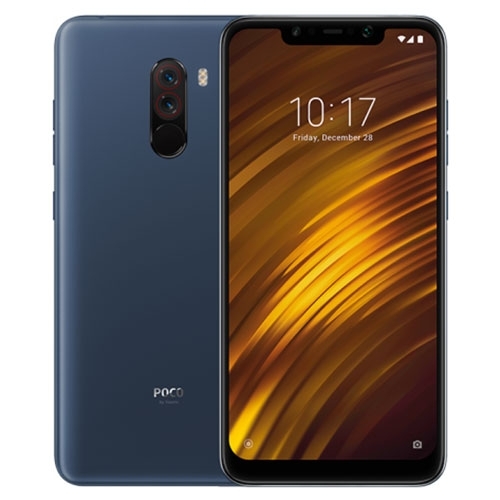 Xiaomi and POCO had to cut cost wherever they could to price the F1 as low as they did and though you will not really be able to gauge that by simply looking at a unit (and kudos to POCO for making it appear that way), pick up and hold one and you surely will. We had the Kevlar (Armoured) edition of the phone for review which is the highest end version of the phone, priced at Rs 29,999. While this is the most expensive variant you can get your hands on, the entire front of the display has chunky and ugly looking bezels, even if you completely ignore the fact that the phone has a huge notch and a thick chin below the display. The entire display unit also sits onto the body with a plastic lipping which in 2018, you would likely notice only in budget and entry-level devices. What this means is that Xiaomi left out on throwing in a 2.5D glass layer which would make the display appear like it is moulding onto the body of the display. Another question that you would ask here is why is the notch so big? In fact, with the number of budget Android smartphones opting for the notch as a forced design choice, this is by far one of the biggest notches we've seen on any smartphone till date. Now, Xiaomi claims that the notch here is larger because it houses the front camera, earpiece and a dedicated camera sensor along with an IR blaster for the face unlock feature to work. But it still does take away from the overall appeal of the device. The entire frame of the phone here is also made of polycarbonate which again is a choice that would help POCO cut costs over opting for metal. 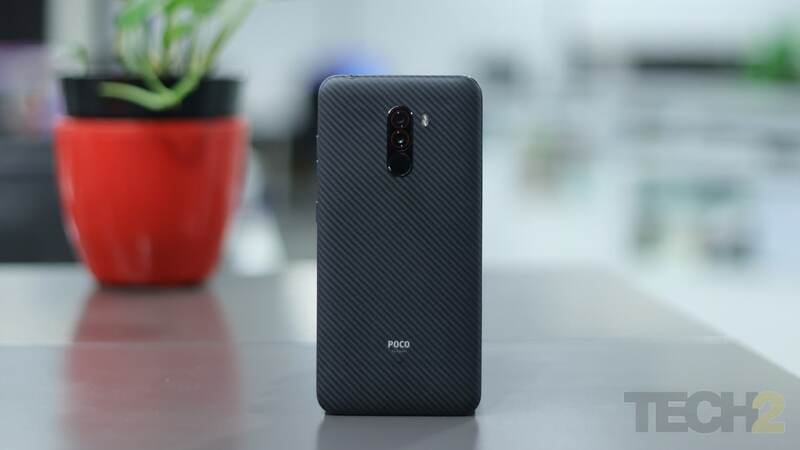 Turn the phone over and the apart from the lovely kevlar textured back, the POCO F1 is as dull as it gets when it comes to design. To remind you, this is the most premium variant of the phone and a single coloured back would appear to look only worse. With a chunky battery in there, the POCO F1 despite its plastic build isn’t very heavy at 187 grams. But given the way the phone feels when you pick it up, it does feel dense, unlike other Xiaomi's smartphones we've seen in this price range. Apart from that, the finish on the device overall isn't bad at all. 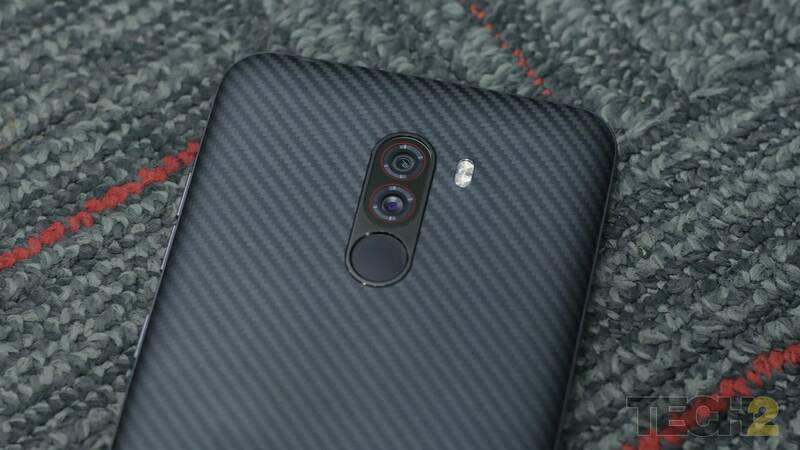 The buttons are well made and clicky, there’s a type-C port and a 3.5 mm headphone jack which are always welcome and the soft-touch kevlar material is also quite resistant to scratches. The camera unit of the back is also completely recessed, which certainly deserves credit. Overall, the F1 will certainly not win any design awards but the areas where they did skimp to cut cost are visible and if you are looking for a gorgeous, trendy smartphone that's going to grab all the eyeballs, you probably know you’re looking at the wrong place already. The POCO F1 gets you all the major features that you would also get on a device priced at Rs 25,000 or even much more. You get a 6.18-inch IPS LCD display, a Qualcomm Snapdragon 845 SoC, 6 GB RAM for the base model (there’s also an 8 GB RAM option) paired with 64 GB of internal storage (128 and 256 GB configurations are also available). We received the Armoured Edition for review which comes with the top of the line 8 GB RAM and 256 GB storage configuration. There’s a dual camera setup with 12 MP (f/1.9) + 5 MP (f/2.0) sensors at the back and a 20 MP sensor on the front. The internal storage on all the variants can also be expanded up to 256 GB using the second SIM card slot. 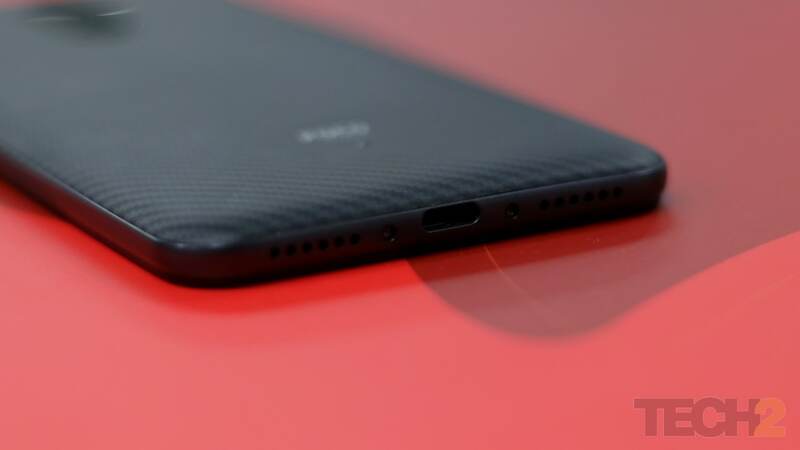 The POCO also offers a dual speaker setup which even the OnePlus 6 fails to offer. On top of all this, Xiaomi also added a liquid cooling system to help the CPU hum along without overheating. It’s called LiquidCool and it works by transferring heat from the processor to the other parts of the phone, theoretically, letting gamers stress the device for longer. And finally, there is 4,000 mAh battery which is more than what we get on most budget flagship or even budget offerings for that matter. Xiaomi has also added Qualcomm QuickCharge 3.0 support along with a 12V 2A charger which is supplied in the box. 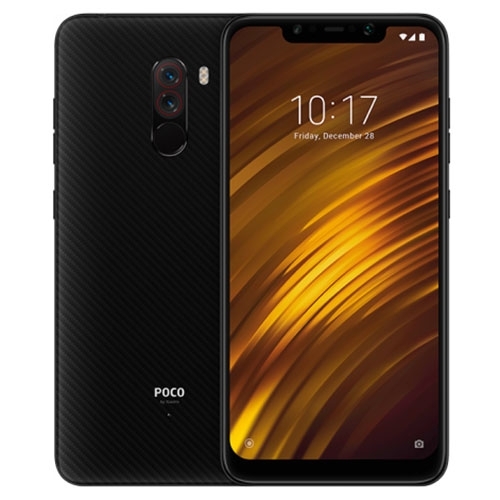 The POCO F1 features a 6.18-inch IPS LCD display, featuring a resolution of 1080 x 2246 pixels (18.7:9 aspect ratio). Colours are nice and punchy and are also quite accurate. The phone came to us at a time when we had the Galaxy Note 9 around, which arguably has the best display on any smartphone. We just couldn't help but compare the colours on either display by opening the same full-res image on both devices. Add to the mix a OnePlus 6, which also has an OLED display but at almost half the price of the Galaxy and we were pretty happy with what we saw. 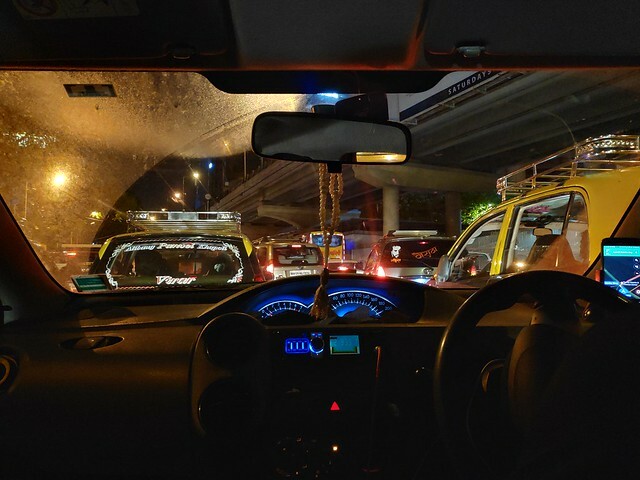 The contrast and saturation levels on the POCO F1 were close to identical when compared to Note 9 while colours on the OLED panel on the OnePlus 6 were off in terms of saturation. 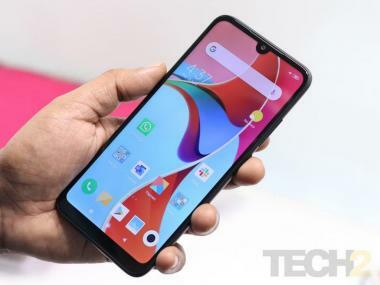 An issue worth noting here is that the POCO F1 has unusually large, curved edges which do eat into space while playing games or while watching Netflix. Another minor issue is the phone's outdoor legibility. At full brightness, text can be a little difficult to read, even when Xiaomi’s sunlight display technology is supposedly at work. That said, it still should not be much trouble viewing the screen in most bright situations. Xiaomi also lets you tinker around with the white balance a fair bit in the display settings and also throws in a Reading Mode if you like. If you do watch a ton of videos on your phone or play games, you will have an enjoyable experience. What you won’t enjoy though is cleaning the display time and again because of the lacklustre oleophobic coating. 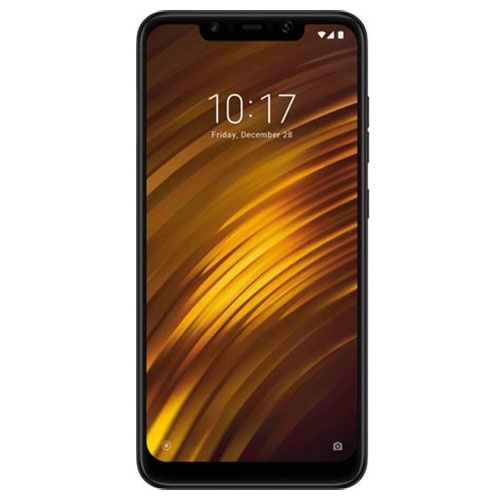 The Poco F1 does not have always-on display functionality. You can, however, double tap the screen to wake it up or use the raise-to-wake option which is always welcome. POCO being a sub-brand of Xiaomi, does run on its proprietary MIUI 9.6 skin on top of Android Oreo 8.1. But launching a sub-brand also gives Xiaomi the leeway to introduce a new launcher here and so it did and it's quite unimaginatively called — POCO launcher. This may sound confusing but POCO launcher is essentially a skin over Xiaomi's own skin called MIUI. 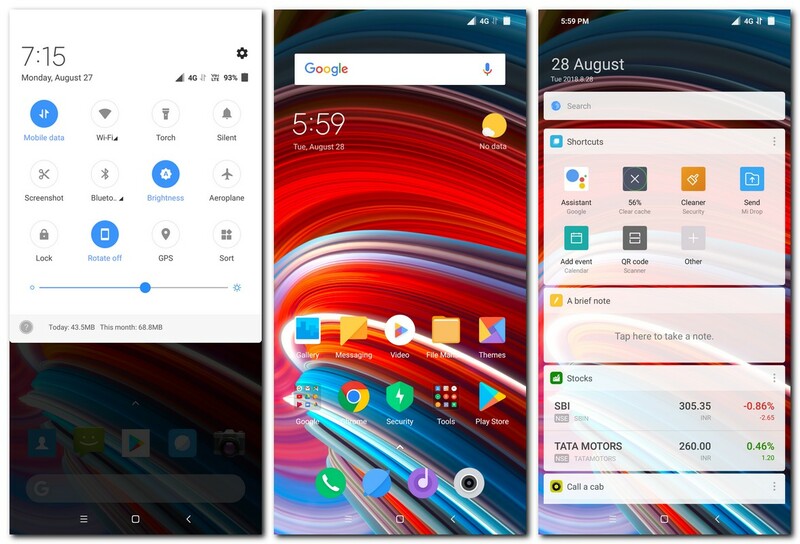 The basic idea behind the new Poco Launcher is to make it look more like stock Android, something that a lot of Xiaomi fans have been missing out on. The new launcher is somewhat similar to what OxygenOS on OnePlus attempts but not really the same way. This allows Xiaomi to attract fans of the stock Android experience while adding its usual set of features and capabilities. That said, if you have used any Xiaomi phone over the past year, the new launcher does really introduce a ton of new stuff just yet. 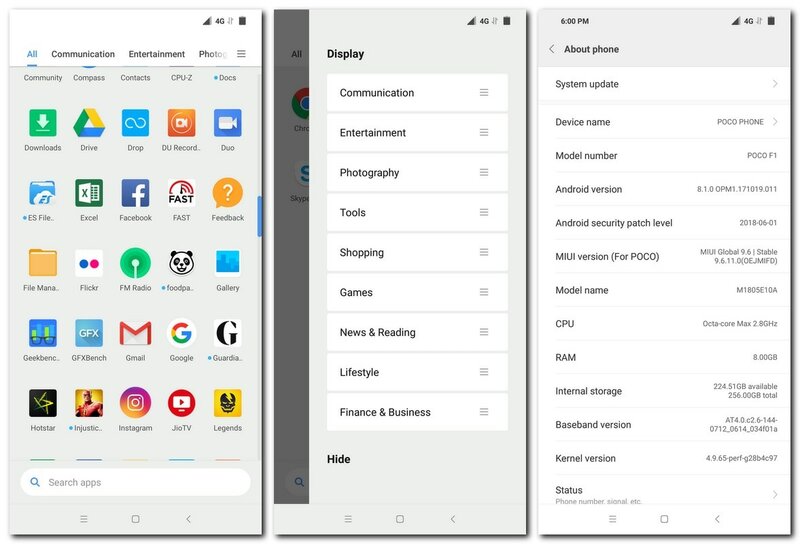 For one, MIUI for the first time has an app launcher which works with the same swipe up gesture as it does on stock Android. What's more? POCO throws in its own optimisations to an otherwise dull app drawer. Instead of having an App Search drawer at the top of the drawer, the drawer here has it at the bottom. This makes it much more easier to reach while hunting for an app. The launcher also automatically categorises apps into subcategories which could be quite useful for accessing apps quicker. The head of POCO India, Jai Mani, during the product presentation also spoke about a number of features which haven't yet made it yet to the launcher. This includes grouping app by colour and also being able to hide apps which are not accessed often. He also mentioned the ability to install third party icon packs which I was very excited about, but that too was nowhere to be seen. Apart from cosmetic changes, Xiaomi has also worked on system animations and optimisations which ensure faster app load times (Xiaomi claims up to 28% faster in some instances) which was certainly visible during my time with the phone. Having spent a considerable amount of time with MIUI on other Xiaomi devices, I can quite confidently say that this is by fast the most fluid performances I've seen. Xiaomi also talked about a feature called dynamic resource allocation also improves the performance of background apps. This was claimed to improve the performance of apps in the background while multitasking and the phone did handle that without a sweat. 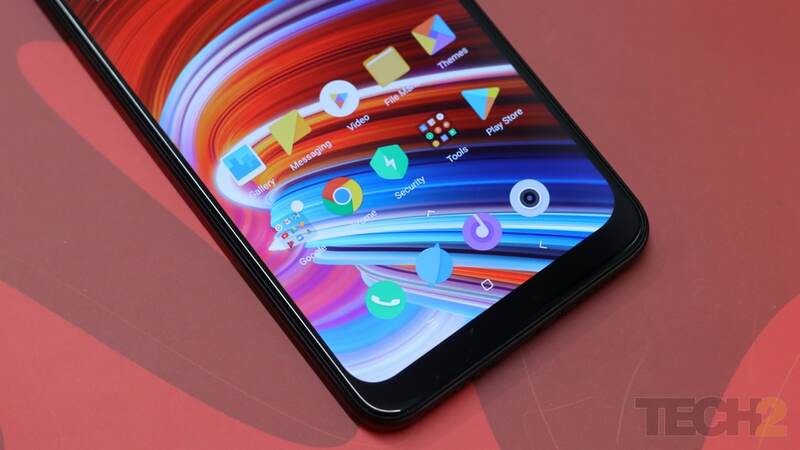 POCO launcher surely takes a lot of cues from stock Android and OnePlus' OxygenOS. That's not all. Jai Mani also made a promise that Android Pie will be rolling out to the POCO F1 before the end of the year with many new features. 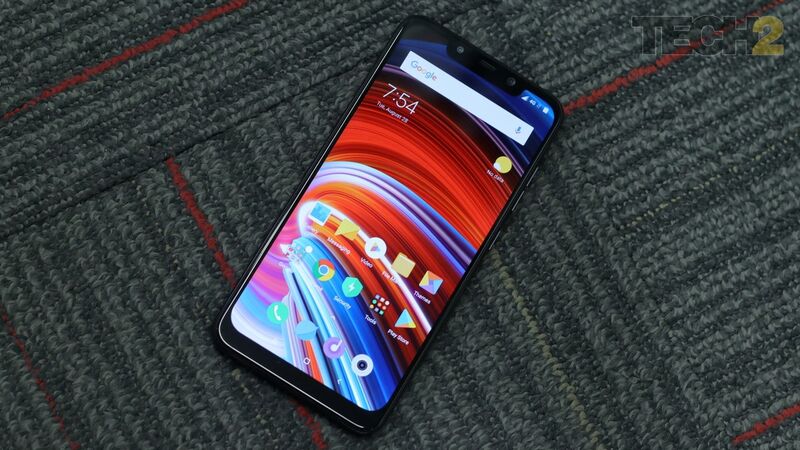 I really hope POCO is able to live up to all this, as it is a huge step forward for the brand to try and merge the best of stock Android and MIUI and come up with frequent updates. MIUI 9.6 for POCO was, therefore, free of any hiccups whatsoever and very very fast, even when compared to the already fast OxygenOS on the OnePlus 6. Despite being announced with a Snapdragon 845 inside, given the price of the POCO F1, I was a little sceptic about how the phone may perform. To my surprise, despite running a brand new launcher on top of a heavy MIUI skin, performance on the phone was nothing short of impeccable. No matter what you throw at it, the Snapdragon 845 chip coupled with the 8 GB RAM just makes light work of any app or prolonged multi-tasking session. As I mentioned earlier, app loading times have been optimised on the software side of things and the hardware does not let you down either. Be it switching between 10 to 15 apps at a time, using split screen or swiping away and reopening apps multiple times. Moving to gaming performance, I decided that I skip on the lesser intensive titles and try out mostly heavy games on the F1. I could have prolonged gaming sessions on heavy titles like Asphalt 9, PUBG Mobile, Shadowgun Legends, Injustice 2 and Shadow Fight 3. Shadow Fight 3 was playable at the highest graphic settings for hours at end. There is no performance mode to chose from here but all games were playable with their graphics turns up at full tilt. The only game which did cause it to drop a frame or two here was Shadowgun Legends when played at 60 fps at 1080p. The Exynos 9810 chip on the Note 9 in the meantime, was able to run the same game without a stutter. The battery drain was also not too significant. With Asphalt 9 for example, about an hour of gaming drained the phone from 72 percent to 61 percent which is quite decent. 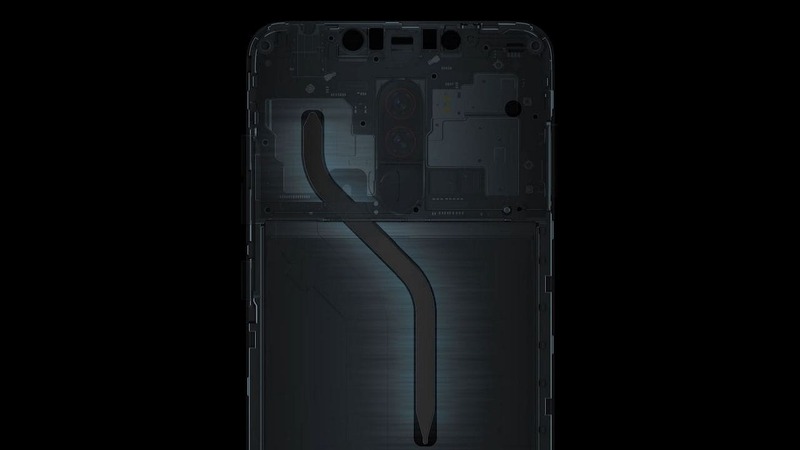 As for POCO's liquid cooling copper heat pipe, which runs right through the centre of the phone, did manage to distribute the heat across the phone as promised. To check for noticeable thermal throttling I even left a race on Asphalt 9 on pause for roughly 45 minutes and I was able to come back and finish the race without a hiccup. Temperatures meanwhile were also in check. The copper pipe certainly does its job and it does it very well considering you have such tech only on high-end smartphones like the Galaxy Note 9. Certainly a huge bonus for gamers. I had no problems with the device’s voice quality and network reception and I can say the same about its audio experience. The dual-speaker setup is definitely better than what others in the price range have to offer and offers richer stereo sound making it convenient for watching movies and playing games. The infrared-based face unlock feature is also by far the fastest I’ve seen on any smartphone and as promised, it works even in complete darkness. However, a common misconception that needs clearing here is that having an IR based facial unlock system does not necessarily ensure security. The only thing it helps with is unlocking the phone when normally there isn't adequate light for the sensor to derive data from. In most cases, especially in good lighting conditions outdoors, the POCO F1 manages to take some great shots with a good amount of detail. The portrait mode too is close to perfect, with excellent edge detection and almost nailing skin tones. Xiaomi portrait modes have been great throughout this year, as we saw in the Redmi Note 5 Pro or the Mi A2 and the POCO F1 does the job equally well. 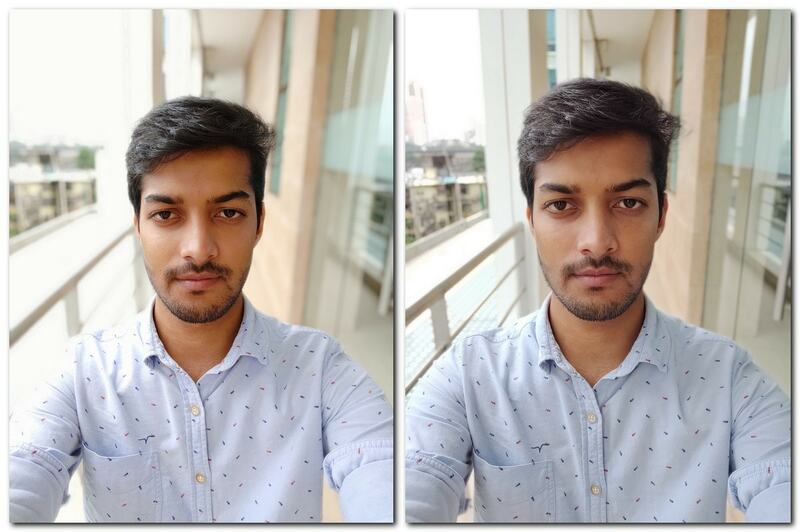 Landscape mode (with HDR) on the OnePlus 6 (left) vs the POCO F1 (right). However, in trickier lighting conditions, not necessarily low lighting, the overexposure and white balance does go for a toss, resulting in images which are almost unusable. In low-light, the images are detailed for the most part with noise levels kept in check but the details aren't really there. I tried shooting images in low light using the manual mode and the result turned out far better in comparison. Another feature which needs mention here is the AI mode which does create a lot of conflicts. Xiaomi claims that its AI scene detection feature is capable of detecting 25 categories of objects and up to 206 different scenes but a lot of it seems to be just oversaturating certain hues and not really improving the overall photograph. The 20 MP front camera uses Xiaomi’s pixel binning technology to combine data from four individual pixels, something we saw on the Huawei P20 Pro do earlier this year. Selfies turned out fine under most lighting conditions but you might want to turn the beautify option off if you do prefer more natural-looking skin tones. The portrait mode on the front camera was also quite impressive with good edge detection but not so great dynamic range. In low light, images do look a little washed out but that's somewhat understandable. Video, on the other hand, was quite good when shooting at 1080p 60 fps but Xiaomi still curbs the ability of the Snapdragon 845 chip to shoot 4K at 60fps for some strange reason. EIS, however, works only on 1080p and not on 4K which is a bummer. POCO's dual-pixel autofocussing was also great apart from the fact that the shifting animation is a little jarring. Overall, the camera performance is at par with other phones in the same price range, including the Mi A2 but it is certainly not comparable to the likes of a OnePlus 6 or even the Pixel 2. The battery is another area where the POCO F1 has the competition beat for the most part. Rocking a 4,000 mAh battery, the phone lasted me close to a day an a half and this is while binging on Netflix, watching live matches on Hotstar and playing games at hours on end. On a regular days use I went to bed with 44 percent juice left after charging the phone at 9 am in the morning. This was with two WhatsApp accounts being active, two email accounts, a constantly buzzing Telegram app, about half an hour of music streaming, an hour of video consumption and another hour of voice calls. Even when it comes to benchmarking the battery performance, our standard PC Mark Work 2.0 Battery test returned with a whopping 12 hours and 14 minutes. As per our records, this close to the best score we've had on the benchmark this year, the best being Xiaomi's own Redmi Note 5 Pro. Even if you do happen to run out of juice, the supplied 12V 2A charger juices the POCO F1 up from under 20 percent to 83 percent in a little less than an hour. Starting at Rs 20,999 for the base variant, the POCO F1 does not only kill all phones in the segment regardless of what they have to offer but also kills Xiaomi's own mid-rangers like the Mi A2. 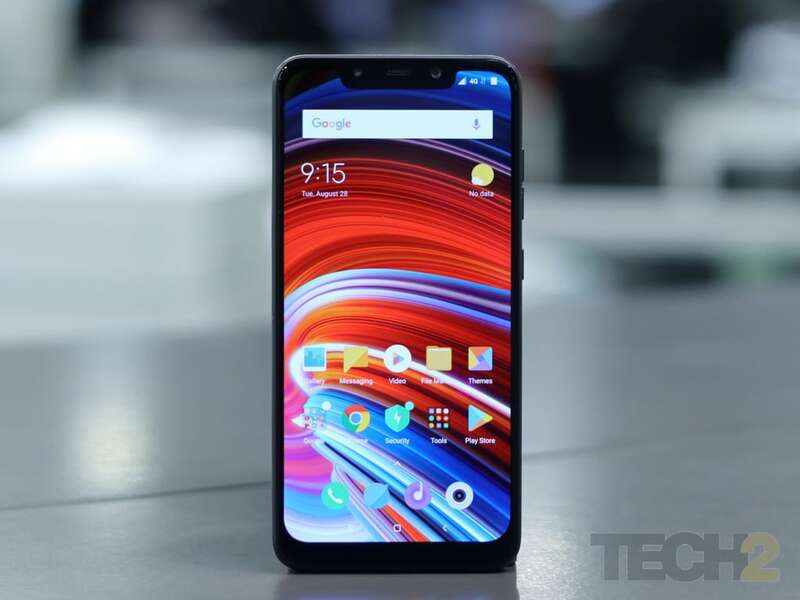 However, the POCO F1 is also a landmark device when it comes to pricing as brands make it seem almost impossible for phones with top-of-the-line chips to be priced lower than what the industry sets as a threshold. 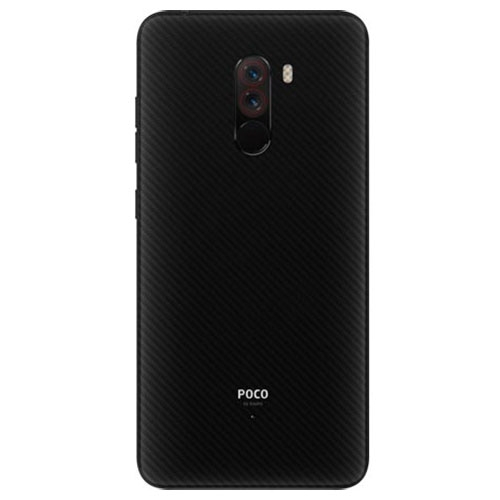 The POCO F1 is not short of its own set of flaws. These include an average camera and a pretty basic design. But barring these, its difficult to argue why should anyone willing to spend Rs 20,000 to Rs 30,000 for a phone settle for anything else. The Xiaomi Poco F1 (256GB, 8GB RAM) features a 6.18-inch FHD+ display with a resolution of 2246 x 1080 pixels and is powered by a 2.8GHz octa core processor and has 8GB of RAM. It comes with 256GB of inbuilt storage and has a 12.0 + 5.0- megapixel rear camera and 20.0-megapixel front camera. It comes with Android 8.1 Oreo OS and support a 4000mAh battery capacity with 3G & 4G.